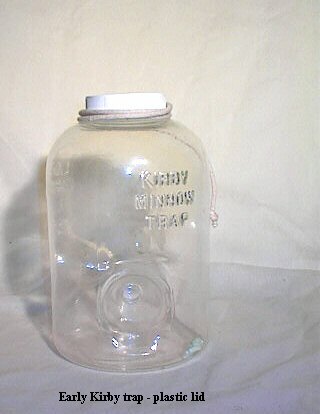 Bill Kirby started selling his own design of minnow trap in 1992. 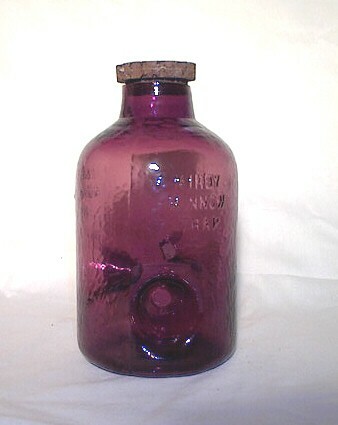 It is based on the Camp trap design, but larger. 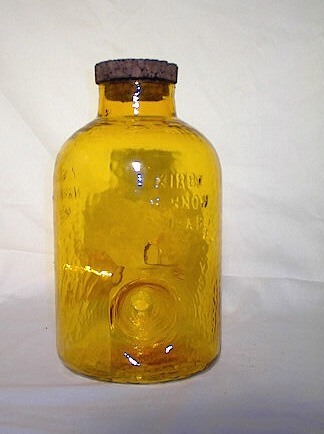 His earliest model has a plastic, screw-on lid. 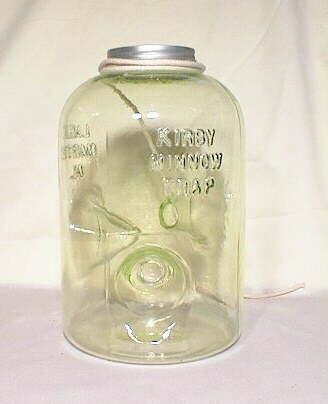 The first traps are all clear glass, and in 1995 have the date molded into the glass on the bottom of the trap. 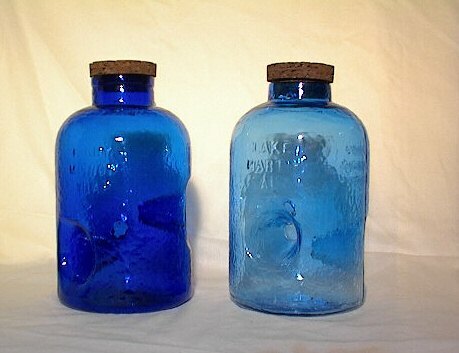 His next design uses a cork stopper in place of the lid, and was made in six colors.There are two versions of these, the first is a dark two piece cork, the next is a lighter, one piece cork. 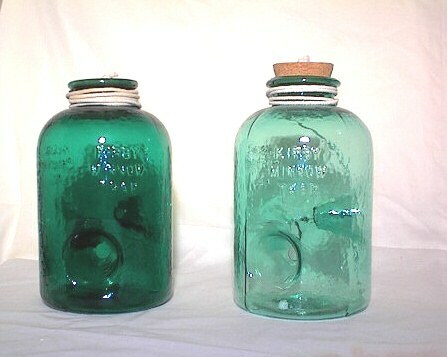 There were only about 25 of the two-piece cork model made, and the currently available model has the lighter cork stopper.These traps are still being sold by Kirby Minnow Traps, and several new colors are available.